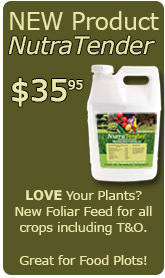 Are you tired of paying high prices for herbicides and pesticides? You have come to the right place for herbicides, fungicides, insecticides and organic crop protection solutions! It is our privilege to serve you. Customer service & satisfaction is our top priority. Fast & consistent shipping from Pennsylvania & Idaho. You pay shipping from the location closest to you! We can provide you with many other products not listed on this site. If you are looking for something, try our search feature at the top, if it's not on the website, please call us and we may be able to get it for you! SAVE EVEN MORE WITH VOLUME DISCOUNTS!!! We offer multiple item discounts. See them on each product page. PLUS!! Save a 5-7% discount based on your dollar volume per order. Appropriate discounts will automatically be applied on page 2 (payment page) during checkout.